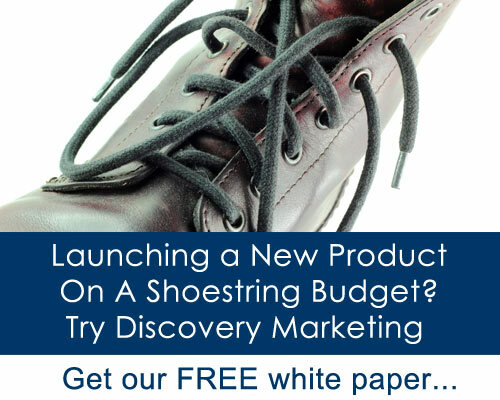 Website features tips on how to build a consumer brand on a shoestring budget using Discovery Marketing tactics. Tampa Bay, FL, (PRWEB) 1, October, 2015—Winsights Marketing LLC, a marketing consultancy to the Consumer Packaged Goods (CPG) industry, is pleased to announce the launch of a newly revamped website, www.winsightsmarketing.com. The new site provides quick and intuitive access to all Winsights Marketing services and solutions, industry best practices, client testimonials, as wells a brand builder blog. Identify and create a unique selling proposition – What makes your product unique and different from the other alternatives? Is there a compelling story you can tell? Juxtapose your product’s attributes and benefits to the larger competitors. Focus you initial marketing efforts in areas of influence – Is there a geographical area or venue that opinion leaders congregate? What product attributes and benefits are most motivating to them? Nurture relationships with these potential brand ambassadors. Reach out to prospects in unexpected, approachable venues – Consumers are inundated with thousands of advertising and brand messages daily. Strive for more high touch, personal contact with your consumers in places where they are more receptive to your message like community events, churches, schools, and social gatherings. Create a friendly controversy – If your product is a better mousetrap, don’t be afraid to compare it to the competition. Americans love a good, fair fight. Controversy is a surefire way to get free publicity. Get your legal counsel on board before pursuing this. Communicate your brand message consistently across all contact points – Make sure that your advertising, public relations, and promotional materials communicate a succinct and consistent message to consumers, customers, and employees. Research shows that on average, consumers must be exposed to a brand message ten to fifteen times before it begins to change purchase behavior. Winsights Marketing, LLC is a marketing consultancy based in Tampa Bay, Florida. Since 2008, the firm has helped CPG companies reach their full potential by providing proprietary planning, innovation, and business optimization services. Winsights Marketing strives to fill the void for senior level marketing expertise that can help companies create a sustainable competitive advantage – resulting in greater sales, profits, and organizational alignment.